Our Grappas are produced through the distillation process of the pomace coming from winery-owned vineyards. The fresh pomace are distilled in our pot stills resulting in light/delicate mono varietal grappas. The grappa obtained in the best vintages, are aged in small oak barrels where they achieve their typically intense aromas and flavors. Recommended for chilled out moments, to be sipped gently in order to enjoy their great persistence and to appreciate nose characteristics. Alcohol content: 42% Vol. Traditional grappa made from fresh pomace; the distillation master has carefully operated to discard the head and the tail and preserve the heart, the best part of grappa; this Grappa is released in a dedicated special packaging. Alcohol content: 40% Vol. The maturing in oak gives to this grappa, produced in our “bain-marie” batch distillation copper stills, excellent tastes and flavors and it does enhance the character and the structure as well. Its fragrance is fruity with a delicate vanilla taste. The color, similar to amber, is bright and golden. The flavor is intense and delicate at the same time. Alcohol content: 42% Vol. This grappa is obtained from the distillation of the soft and juicy grapes of Croatina mono variety vineyards located in Oltrepò Pavese. This crystal clear grappa is characterized by diamond reflections and ethereal notes typical of the original grape. Its taste is dry and complex, while its aftertaste is persistent and harmonious. Alcohol content: 42% Vol. It is obtained by distillation using the discontinuous method of copper stills and baine-maire, and matured for more than 4 years in small barrels of Slavonic oak. The refinement confers the classical amber-color, appeal and elegance to this grappa. The variety aromas are still present and the balance of the fruity notes and the taste of vanilla give this grappa extreme smoothness. Alcohol content: 42% Vol. The aromatic complexity of Moscato grapes is sublimated by this great grappa obtained from the best pomace of pressed Moscato grapes grown in mono variety vineyards and distilled according to the discontinuous traditional method of copper stills and bain-marie. This crystal-clear grappa with bright reflection has the typical notes of Moscato grapes; it’s rich with fruity aromas and clear hints of sage. Its smooth, intense with long finish where aftertaste is persistent and delicate. Alcohol content: 40% Vol. The aromatic grape richness of Moscato grape is condensed and exalted in this great grappa of singletype vineyard, being distilled by the discontinuous method of copper stills and baine-maire. The 24 month maturing in small barrels of Slavonian oak and the evolution of the aromas of variety brings to the grappa the typical straw-gold color, the elegance, and extreme pleasantness. The taste is intense with clear sensation of sage and coriander. Alcohol content: 42% Vol. This mono variety grappa is obtained from pomace of pressed Chardonnay grapes grown and is distilled in copper stills and bain-marie according to the discontinuous traditional method. It’s crystal-clear characterized by lunar reflections. The ethereal intense notes are typical of Chardonnay grapes. Its taste is smooth, hot and complex, with a strong personality and a persistent and sweet aftertaste. Alcohol content: 40% Vol. This mono variety grappa exalts the peculiar and unique aromatic characteristics of the Malvasia grape. It is extremely clear, with crystalline reflections; at nose it unfolds a withered rose fragrance prevailing on the typical Malvasia flavors. It surprises with its flavor characteristics, its long harmonious finish and elegant aftertaste. Alcohol content: 40% Vol. This grappa is obtained from the distillation of Riesling pomace. 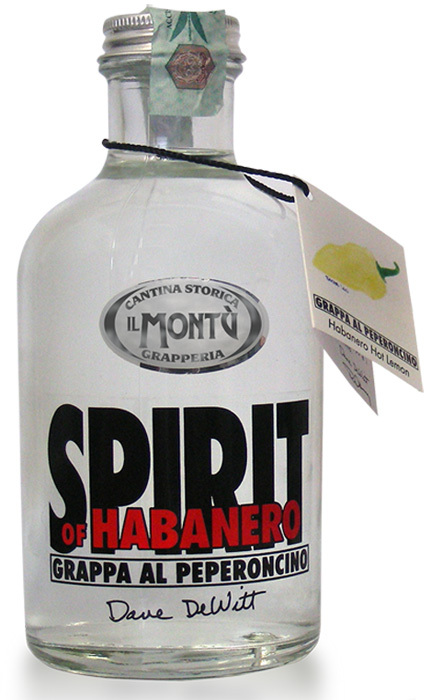 It is distilled according to the discontinuous traditional method of copper still and bain-marie, like all the grappas produced by Il Montù. This crystal-clear grappa with glossy and bright reflections has an ethereal note, which is typical of the original grape. Its taste is smooth, hot and long-finish, with a persistent and harmonious aftertaste. Alcohol content: 40% Vol. This grappa is obtained from the pomace of fragrant and freshly-pressed Pinot Nero grapes grown in mono variety vineyards. It is crystal-clear; its nose is clean, intense and delicate. Its taste, at the same time sharp and harmonious, is outstanding and its aftertaste is persistent. Like all the other grappas produced by Il Montù, it is distilled according to the discontinuous traditional method of copper stills and bain-marie. Alcohol content: 40% Vol. This crystal clear grappa is obtained from a selection of Barbera, Croatina, Uva Rara and a blend of local Oltrepò Pavese grapes coming from a limited area where Buttafuoco grapes are grown. It is distilled according to the discontinuous traditional method of copper stills and bain-marie, like all the other grappas produced by Il Montù. It’s clear, at first its taste is hot burning and captivating, then it becomes persistent, intense and delicate at the same and it arouses emotions. Alcohol content: 45% Vol. Sangue di Giuda is one of the few sweet red dessert wines. It is obtained from a selection of Barbera, Croatina and Uva Rara coming from vineyards located in a small area of Oltrepò Pavese, between Valle Versa and Valle Scuropasso. The intense aroma of this fine grappa unfolds hints of raspberry and black sour cherry. Its taste is clean and soft and its aftertaste is intense and persistent. Alcohol content: 42% Vol. The Annurca apple, best known as the queen of apples, is grown within the country side of Campania and Cilento. Obtained from a “bain-marie” distillation made in discontinuous copper stills, this is a supreme brandy with a unique taste that recalls the original Annurca apple fragrance. Alcohol content: 42% Vol. The best Malvasia aromatic grapes, fermented along with their skins and distilled in copper stills, have created these gentle spirit drops which are the essence of vital aromas, tribute to tastefulness and traditions, magical and ecstatic whispers from Venus. Alcohol content: 42% Vol. Our Grappa, flavored with the acacia honey, gives rise to a surprising delight, which meets the most discerning palates. The softness of our Grappa, distilled according to the discontinuous traditional method of copper stills and baine-marie, elegantly combines with the sweetness of honey, giving rise to a surprising harmony, and a perfect symbiosis. Alcohol content: 40% Vol.